Personal tracking device which connects with up to 5 mobile phones. Uses GPS tracking to give precise location and can also detect falls, ideal for use with dementia patients. Dementia can cause huge emotional stress, for both the sufferer and for their loved ones. If you care for someone with dementia, something particularly upsetting associated with the condition is the patient's tendency to wander. This puts them at risk of getting lost and hurting themselves. The Portable Personal GPS Tracker helps you keep tabs on your patient or loved one. Using precise GPS, you can find out someone's exact location should you be concerned about their whereabouts. The clever device also features fall sensors to detect if someone has fallen to the ground, perfect for ensuring a quick response and therefore greater safety. The multi-purpose unit can also be used to help you relocate a valuable item should it go missing or be stolen, for example you could conceal the tracker within your bike or sports equipment. How Does the Personal Tracker Work? The tracker links with your mobile phone to inform you of a loved one's precise location, should you need to know. Mapping coordinates are sent by request as a text to your mobile, along with details of the tracker's status and a link to Google maps. Up to five mobile phones can be authorised to receive data from the device, meaning multiple family members can monitor one person. 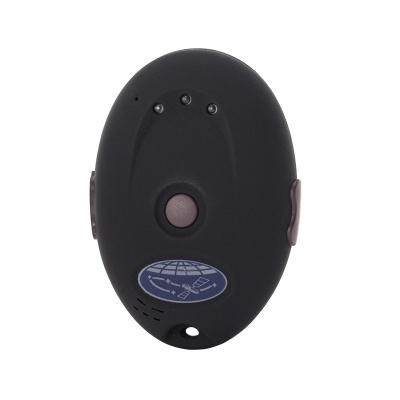 The Personal Tracker features a two-way audio with a talk button that will first dial the primary mobile phone, and it's also possible to dial the tracker which can be answered by the user. This allows for improved communication between patient and carer. There are no monthly or ongoing costs with the GPS Tracker - all that's required is a mobile telephone network SIM card, contract or pay-as-you-go. When using GPRS, data transfer is charged by the network vendor.